Take De Waal Drive (the M3) from Cape Town past UCT, and just follow the road till the end of the highway. Turn right at the stop sign, to take the Ou Kaapse Weg Mountain Pass. 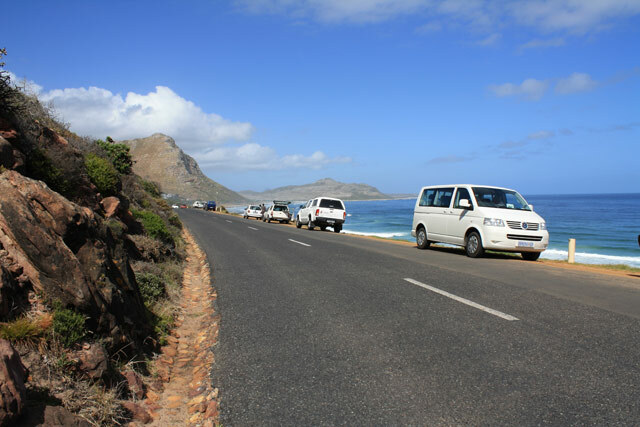 Drive through Sun Valley, past a Pick’n Pay until you get to a busy 4 way stop; turn right, to Kommetjie. 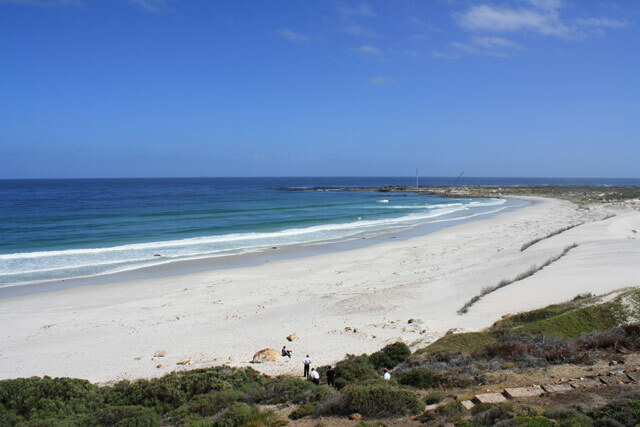 At the sign to Cape Point, turn left, drive up the hill, until you get to another stop street, Turn left, and drive for about another 2 kms (the first beach you get to is Witsands) or instead of turning left, drive straight, and turn left to the Crayfish Factory. Best winds are S and SE. NW is off shore. SW is pretty rare but would be straight on shore so not great. SE is OK here and can get really strong at times. The Southerly is a bit onshore - can be fine but tends to be hard to get out as there is a low wind bubble on a South in front of the mountain.Shore break can be brutal, strong rips and rocks with gusty winds doesn't make for the ideal learning spot. The wave break has a left and right break. Waves can get really big here especially in Winter. If you have parked on the verge of the road, you can make your way down the steps and rig up on the beach. 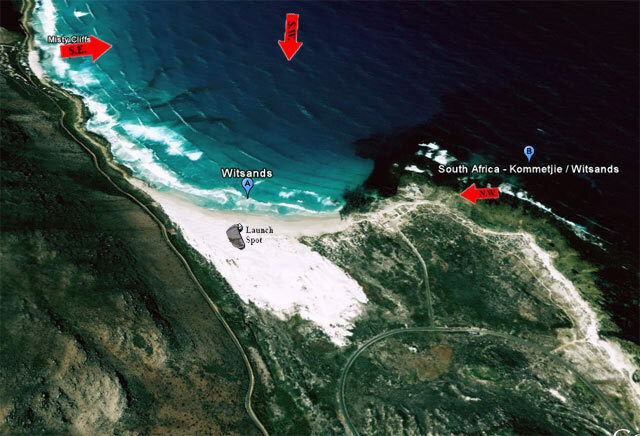 This can be a really demanding spot for surfers, so heads up and be friendly to windsurfers too. This spot is not recommended for beginners.